Conducting an objective self-assessment is quite difficult for most people. Lucky for us, personality tests help solve this issue. The psychological tests assess your traits, values, and attitudes–the characteristics that describe your personality profile. Scientifically validated psychometric questionnaires allow you to discover your personality type. Personality testing covers wide areas of assessments. There is a color quiz that determines your personality type by colors you select. You can also find the Type Finder that provides a complete picture of a personality type with career choices. You’re looking for psychological questionnaires that survey your personality type fit to a particular type of careers, and provide a complete picture of your style and approach to life. But before we go to the personality tests for career change, let’s have a look at at all ranges of psychometric tests. Color Test – Color personality quiz is a five minute free personality test based on the color test designed by Dr. Max Luscher, and the research by Faber Birren who pioneered the field of color psychology. Each person has a natural inclination towards certain colors and a natural dislike towards others. The color personality test is designed to match your personality type with the color that most naturally describes who you are–your natural color. Color quiz examines the information provided you and your choices of accepting and rejecting the various colors. It can give a quick psychological insight of your personality, characteristics, and gifts. Fun Personality Quizzes – If you’re interested in different types of personality quizzes that are useful as well as fun then fun personality quizzes are the answer. The fun personality quizzes will uncover your fundamental personality type and give you insight on how to better relate to others in a fun way! DISC psychometric test measures four factors of an individual’s Dominance, Influence, Steadiness and Conscientiousness. The DISC personality assessment isn’t a full psychological test in the strict technical sense but it provides an insight into your personality style that is more than adequate to predict the likely trends of your behavior in the future. While a full test will often contain hundreds of questions and takes hours to complete, a DISC personality profile questionnaire contains twenty-four questions and can be performed in fifteen minutes or less. The practical nature and reliability of DISC personality tests for career placement have convinced many employers to use them as their employment psychological tests. Now that you know the employers rely on the DISC personality tests for career guidance when selecting a suitable candidate for a job opening. You can take the DISC test to find career choices that suit your personality profile before you begin your career change journey. The Keirsey Temperament Sorter is a more complicated psychological testing. The test scores results according to the Myers Briggs system. Once you’ve answered the questions you’ll get results in Myers-Briggs Type Indicator (MBTI) language (“you are an INTP”). The actual Myers Briggs personality tests for career options isn’t available on the internet. The reason is it is a professional instrument and may only be administered by a licensed practitioner. The 16 Myers-Briggs personality types described in this test will help you understand yourself and others to organize anything successfully. The Keirsey Temperament Sorter can also equip you to better understand and relate to others. You’ll also find free personality tests for career paths available for free so you can decide whether to buy the paid versions. 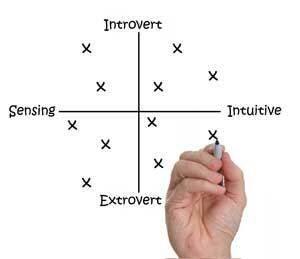 You’ll be able to find suitable tests based on the accuracy of the free personality tests. The design of Type Finder personality assessment is based on the work of Isabel Briggs Myers–the 16-type framework. The questionnaires are professionally developed and scientifically validated, making it gives you accurate results you can rely on. Truity, the publisher, has developed the test for over two years, using the 16-types framework. It’s accurate in a sense that over 3,000 volunteers who already knew their personality type, found out their personality type matched up 71% of the time. Another worth mentioned about TypeFinder is its easier to take and to interpret than other Myers Briggs based personality tests for career explorations. The questionnaires let you to take an in-depth personality analysis without special training for interpreting the report. For a cost as low as $29, the personality test is a worthy investment for devising your career change plan. Take the TypeFinder Personality Test.